Every Nissan Altima has a brake system responsible for slowing down and stopping your car as necessary. Whether you want to slow down for traffic or lock the brakes up to prevent a collision on I-15 while leaving Las Vegas, it is the brake system responsible for generating the force you need to get maximum stopping power and passenger safety. Given the physics involved in stopping your Nissan Maxima, front brake pads usually wear out twice as fast as the rear. That means, in general, if you drive a Nissan Maxima, you’ll need to get a Complete Front Brake Service twice as often as in the rear. 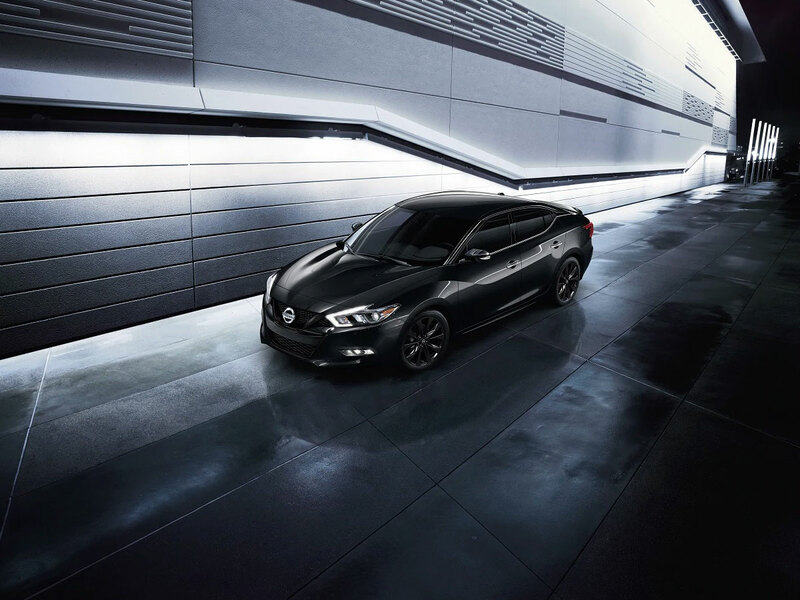 Every Nissan Maxima Complete Front Brake Service includes an inspection of the entire front brake system including the installation of new front brake pads and fluid exchange as needed to restore factory specifications, peak stopping power, and maximum passenger safety. Brake Pads and Brake Fluid require routine maintenance because pads eventually wear down and fluid becomes contaminated. Engineered from a durable yet giving metal composite material, brake pads lose some material with each stop decreasing their thickness. When brake pads get too thin, they should be replaced. Without replacement, the brake pads will wear out entirely leaving you with the caliper pushing against the rotor. If this happens, rotor warping and caliper damage are right around the corner. Brake Fluid requires routine maintenance also because it attracts moisture, becomes contaminated, and loses its ability to transfer stopping force properly. When too much water gets inside the brake system, the brake fluid becomes compressible. Since brake fluid is supposed to be incompressible to transfer stopping power, it needs to be exchanged if it has become contaminated. One of the most convenient and price-effective ways to ensure you have good brake pads and brake fluid is with a regular Nissan Maxima Complete Front Brake Service. 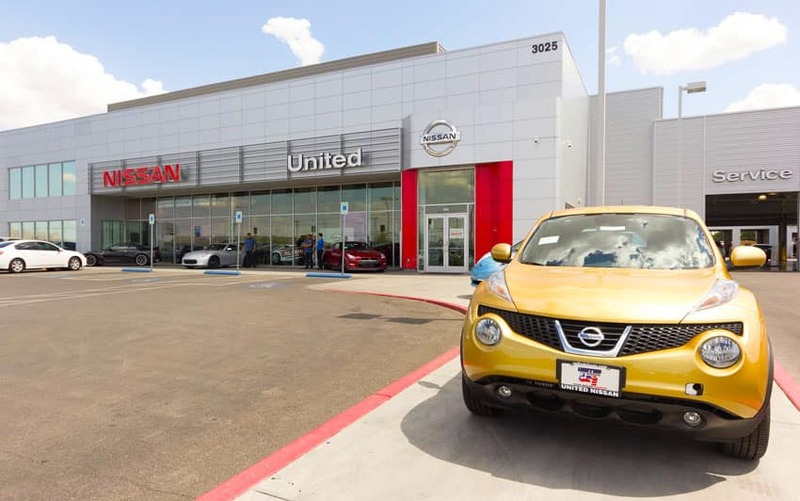 At United Nissan, we consider brake service to be “complete” when it includes everything you need to restore your front brakes to factory specifications and peak performance. Naturally, the service will always begin with a factory trained certified Nissan technician. The certified expert technician will rely on a certified service protocol and will only install genuine Nissan-approved replacement parts and fluids. Although the focal point of the service will always include brake pads, brake fluid, and rotors, the professional technician will also complete a full evaluation of the entire brake system including components like the caliper, master cylinder, brake lines, and safety brake as necessary to restore your brake system to peak stopping power and passenger safety.